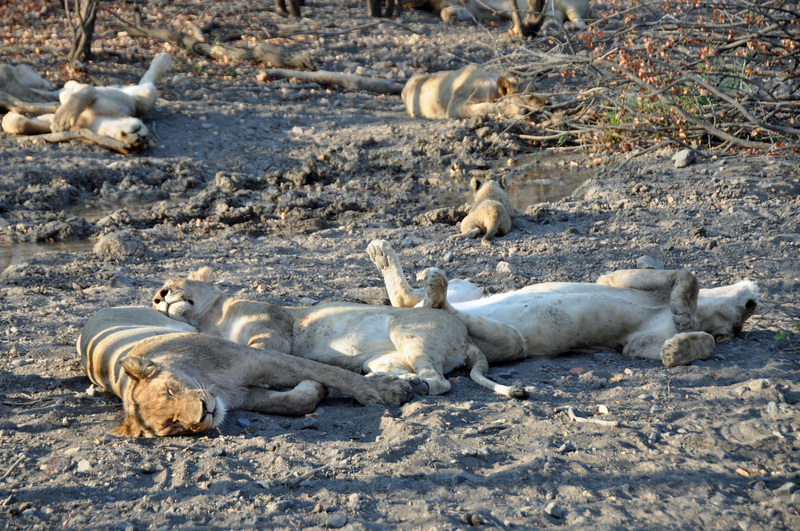 We leave the dry, lunar desert conditions and head northwards for some more traditional game viewing. 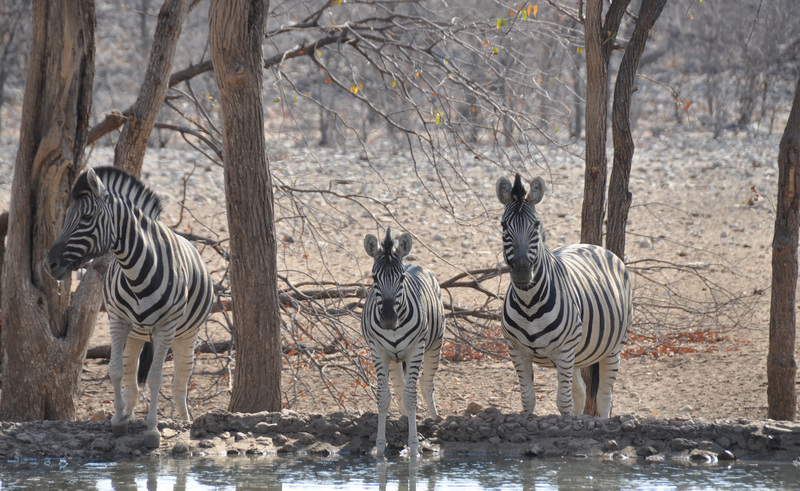 Namibia is a country of huge contrasts and so far we’ve seen some of the very best desert landscapes. 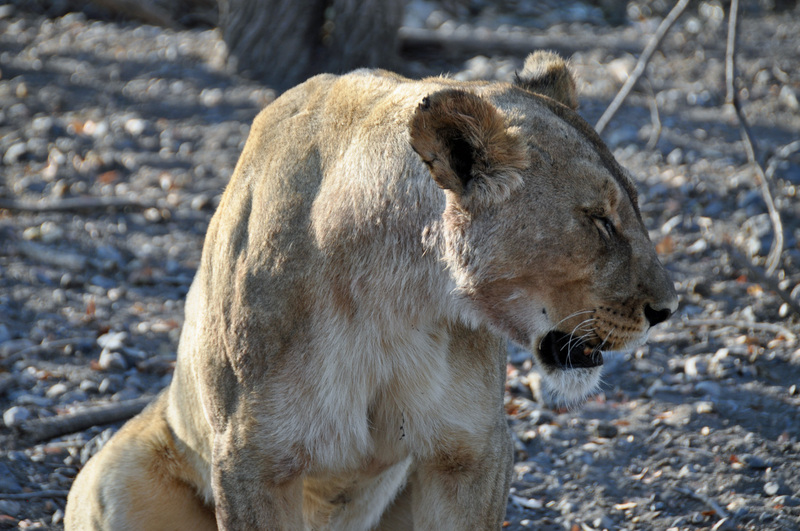 We now head for the area around Etosha National Park, still very dry but able to support some varied wildlife. 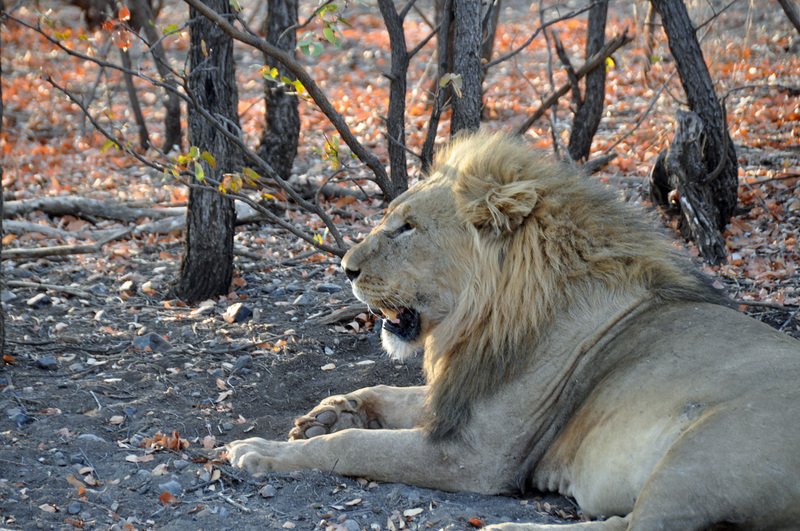 Home to a network of man-made water holes and naturally occurring springs, the southern boundary of the Park is home to enormous numbers of African animals, earning Etosha the reputation as one of the best game reserves in the world. Roughly half the size of Switzerland this is an enormous game park with a huge pan – dried up lake bed – at its heart. 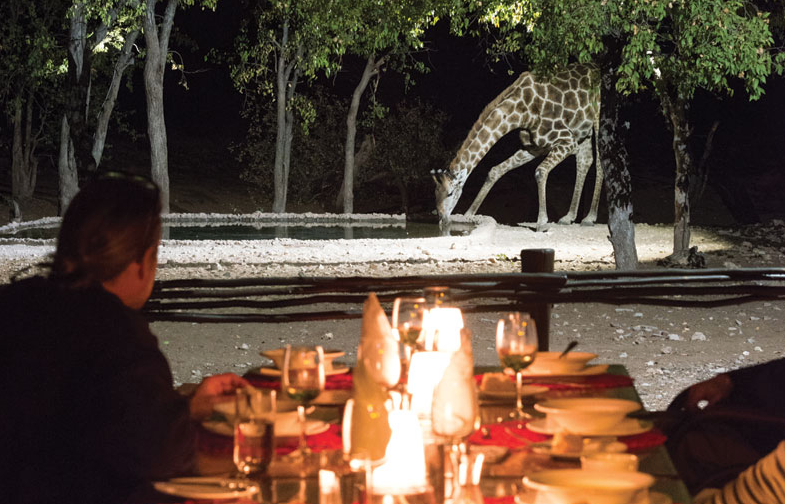 The lake finally dried up around 2,500 years ago – a few seconds in geological time – and the Park has established a series of waterholes to help sustain the large and varied game population. Despite all the controls poaching still exists and we meet a group who photographed a rhino with a bullet wound. The story is that poachers must have had help from park rangers in order to succeed and indeed one has recently been caught. We are staying at Ungava Tented Camp, whose access gate is right beside the main western access to the Park. 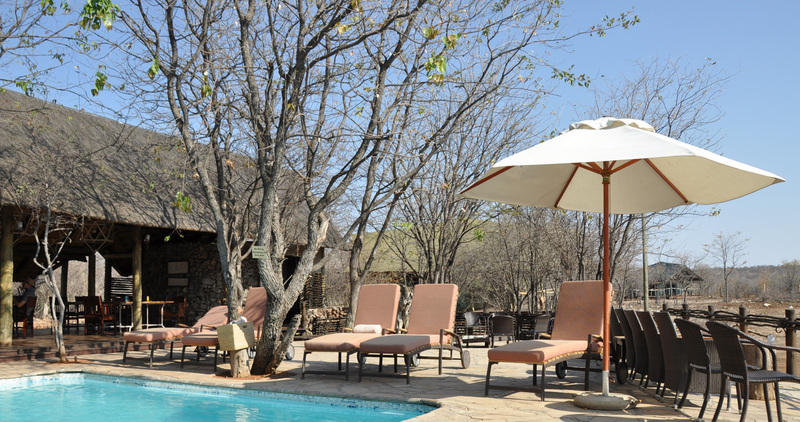 Ongava is a large private reserve and on its own comprises around 30,000 hectares. 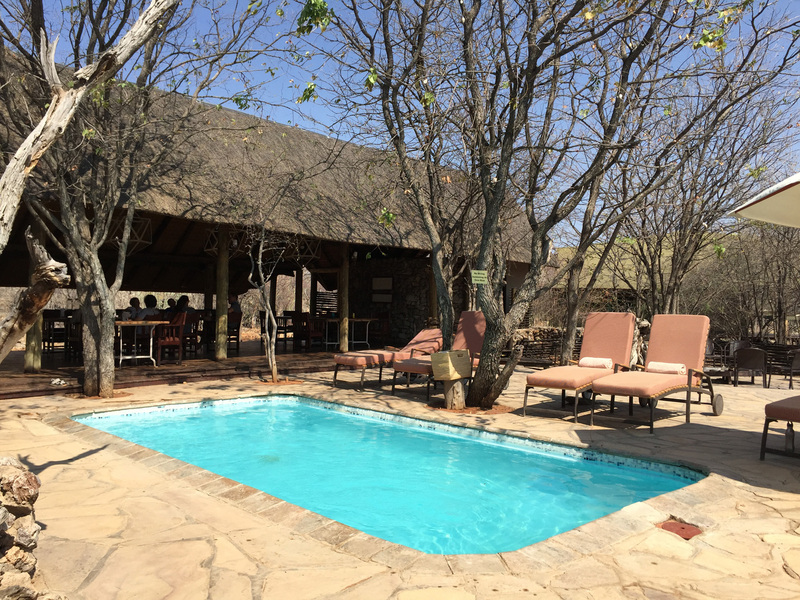 Although we venture out into the Etosha park, we have excellent game viewing within the Etosha reserve. There are some very memorable highlights. 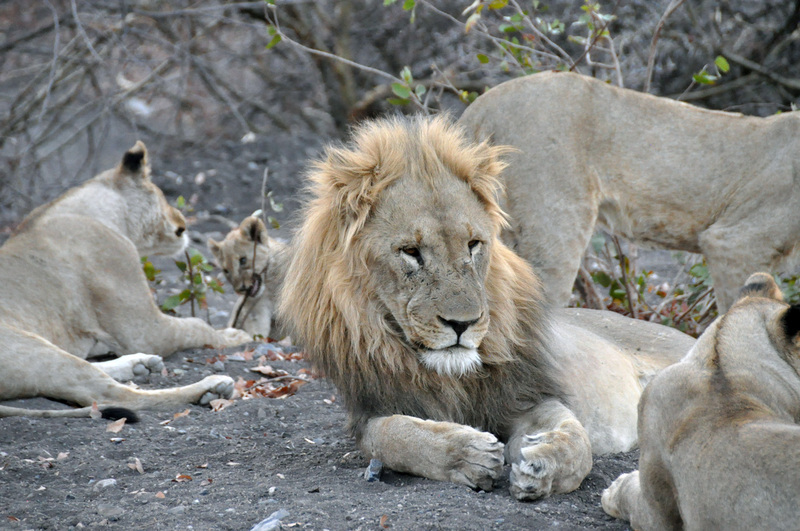 An early evening drive finds us parked alongside a pride of lions. 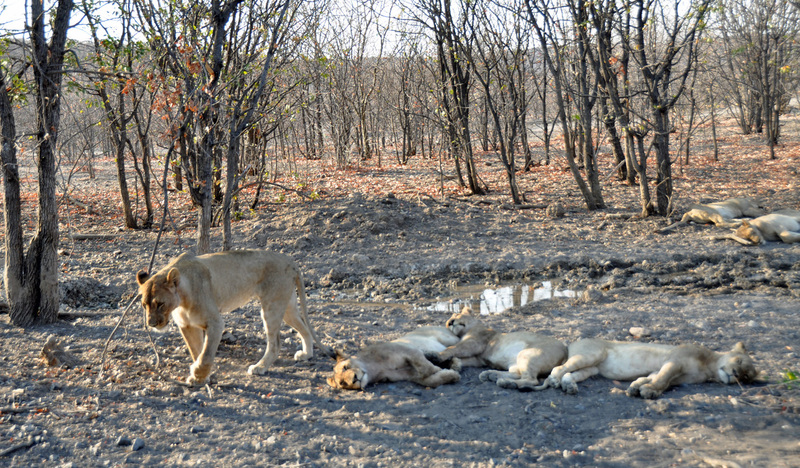 The adult females are out hunting, leaving the large male in charge of the remaining five or six young adults, and three young cubs. 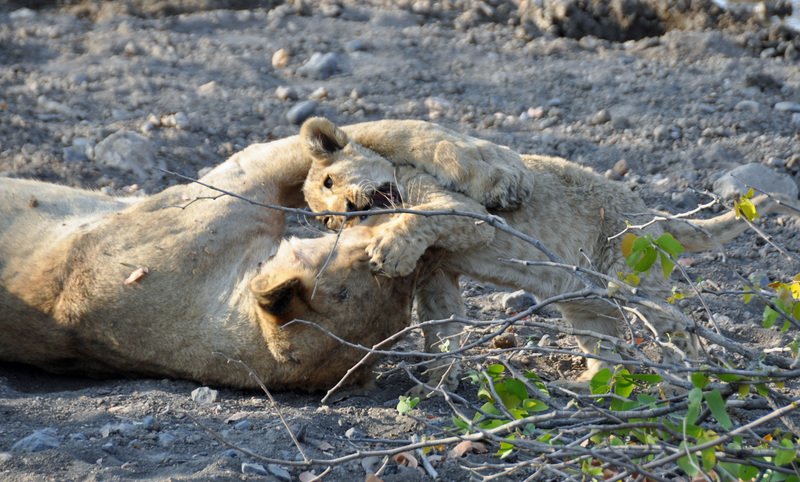 We watch – and listen – as the teenagers bully the cubs, part of their preparation for survival. We are within 4-5 metres. Astonishing. 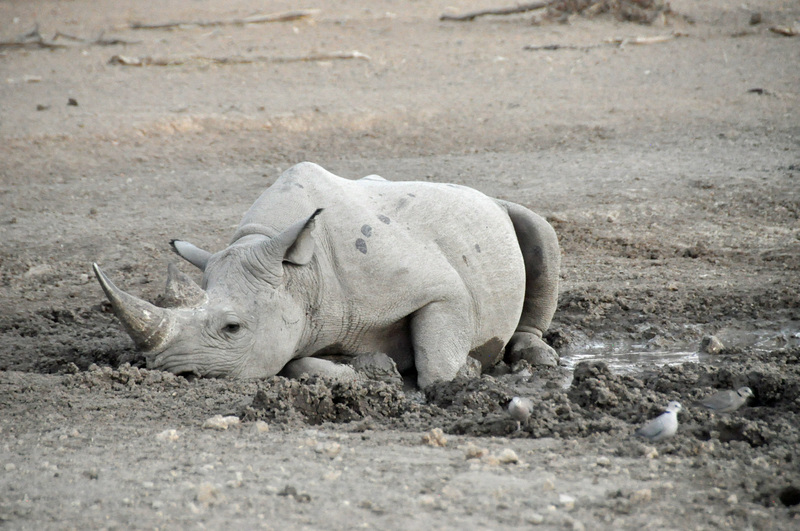 The day we arrive is world rhino day and Ongava is a centre for research and protection of the rhino species. 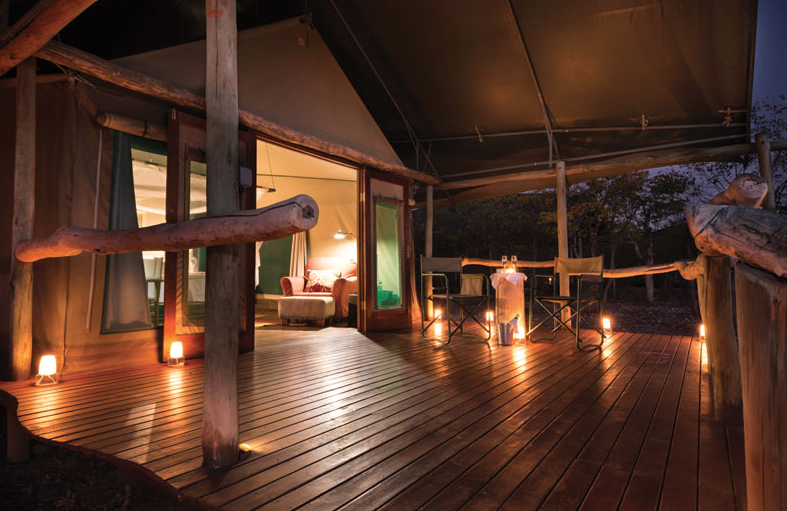 After our evening game drive we arrive back just after dusk to find a rare black rhino at the waterhole just beside the camp’s dining area. Staff and guests alike are astonished. 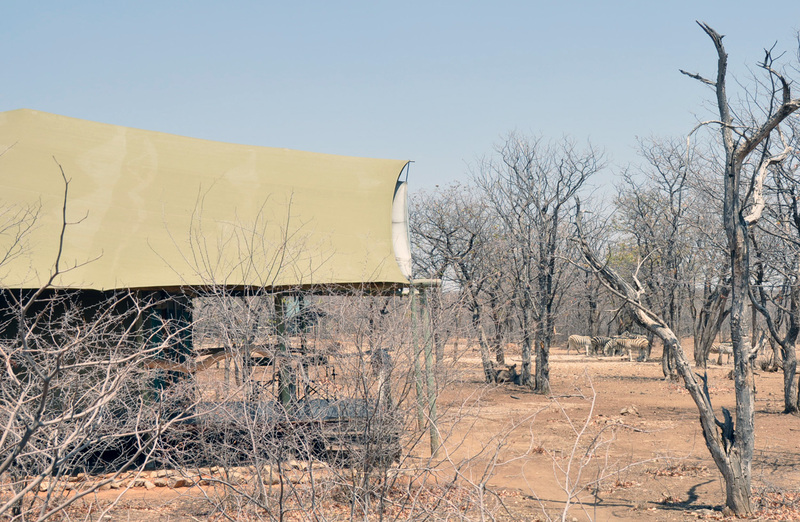 The following day our guide takes us out and, right in the bush, invites to go looking for rhino on foot. We’re armed with cameras, whilst he has a rifle – both of us just in case. 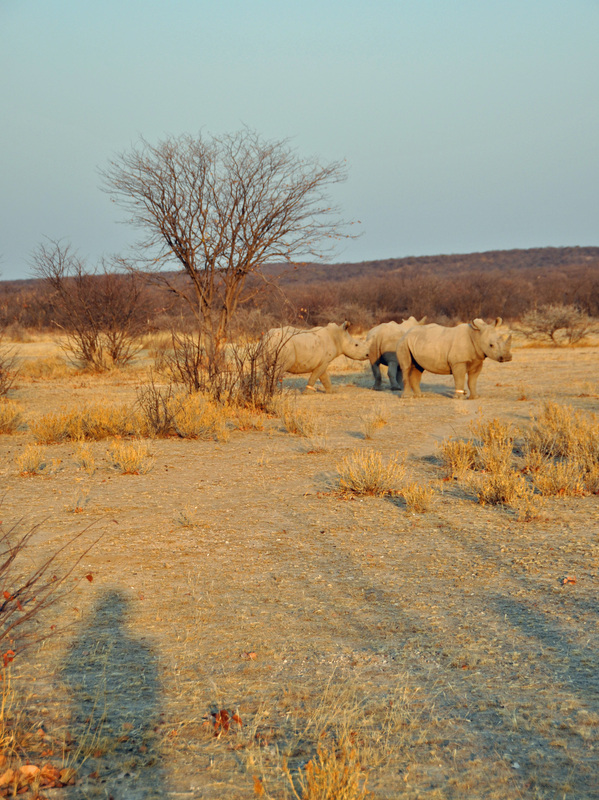 After twenty minutes or so we find three white rhino and we’re able to approach to within 40 metres. If we were poaching it would be an easy shot. So, a fabulous experience and a place we were very reluctant to leave. Like all the places in Namibia.